Ticket Sales for The Music Industry Network Party and Mahogany Fame's EP Release Party. 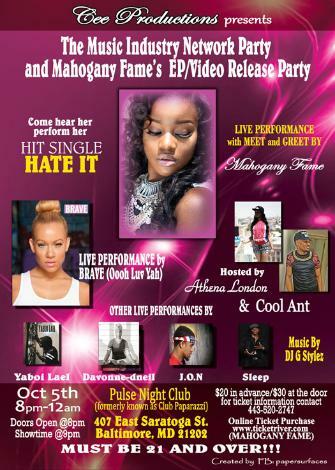 Come hear her perform her hit single HATE IT with her LIVE PERFORMANCE AND MEET AND GREET. Special Performance by BRAVE.